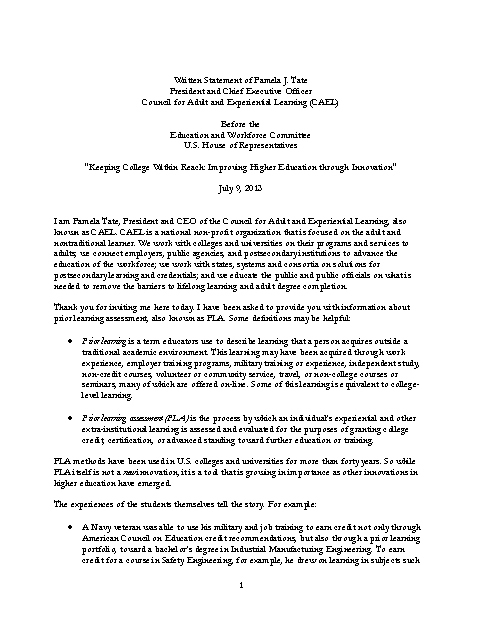 Right now is the ideal time to examine what kind of changes need to be made to the HEA in order to support PLA as an allowable expense for federal financial aid while ensuring adherence to quality standards. A few years ago, Congress gave the U.S. Department of Education the authority to examine just these kinds of questions through the “experimental site” initiative. Download this testimony today to understand more about the Education and Workforce Committee.